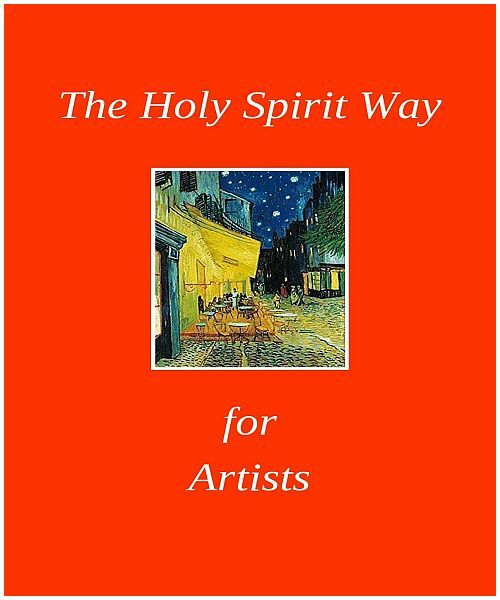 "The Holy Spirit Way for Artists is an expanded work from The Holy Spirit Way by Rebecca Anne Banks. The magic of an Artist's calling is explored, a dynamic survivor's guide that gives basic information about process, Internet and social media, healthcare advice, finances, as well as inspiration with quotes from the Greats. As every guild has inside information from the Holy Spirit, this gives titles and an idea of how God moves through the Artist for improving their work and providing ritual that translates over time into the ultimate healing and karmic redemption. This book has a special section on transcendence and trespass and what constitutes trespass with what it means to be put on and to come off of the cross, and the healing way of The Holy Spirit Way. It is the inside story of Subterranean Blue Poetry, Tea at Tympani Lane Records, The Book Reviewer and Kintsugi Art Quilts, telling of the development of Rebecca Anne Banks' arts calling. The Holy Spirit Way for Artists is also an introduction to process with ideas about design and writing and the role of the Muse and what constitutes good work. This is an excellent book for young people destined to be Artists or anyone struggling with questions about how to learn artistic skills and how to survive and be in the world. This is the book of grace I wish I had had when I was beginning my life as a young adult. The Holy Spirit Way for Artists is the accumulated knowledge of a Sage/Oracle/Artist based in readings and research, experience, dreams and psychic intuitions over a lifetime. These are the gifts of the Artist/Oracle, she gives them to you so you may find your way and have a life of happiness and dance, as the Spirit intended." Rebecca Anne Banks is the Poetry Editor at Subterranean Blue Poetry (www.subterraneanbluepoetry.com), the CEO/Artist at Tea at Tympani Lane Records (www.tympanilanerecords.com), the Book Reviewer at The Book Reviewer (www.thebookreviewer.ca) and the Quilt Artist at Kintsugi Art Quilts (www.kintsugiartquilts.com).